The number one post on splalicensing.com is “Office 365 under SPLA” To date over 20,000 users have read it, several have commented on it, and many more are still asking – what am I missing and why can’t I offer “SPLA Office” in the same fashion as Office 365? Microsoft recently announced mobility rights for Remote Desktop Services (RDS). I wrote about it here I think that’s a great move by Microsoft as it provides more flexibility for both service providers and consumers. In my opinion, we need Office mobility rights, and we needed it yesterday. Think about your environment and the licensing restrictions around Office. To legally deploy Office for a customer that has Office 365, you as a service provider would need to have your customer purchase 1 volume licensing copy of Office, install it on your server, and for each user for Office 365, they must allocate one of the five licenses (Office 365 allows 5 installations of Office on 5 devices per user) to access Office remotely. The Office bits on Office 365 has issues with installing it on server. Thus, the reason for a volume license copy of Office. (at least that’s my experience in the past, maybe that’s changed now) Doesn’t sound too bad. Five devices is a lot anyways, and now with RDS mobility rights, the service provider can use the end customers RDS licenses (if they have software assurance). YES!!!! Ahh…but what about Office? Does Office have mobility rights? The answer is….no. Although the service provider can have customer RDS mobility rights, since Office is installed, the entire environment has to be dedicated. Yes, that includes the hardware and the VM. That’s the issue I struggle with and I am sure many of you do too. Why offer RDS mobility rights but not Office? This would solve some of the issues between Office 365 and the service provider community. Office is expensive for SPLA’s, let’s allow end customers to leverage their existing volume licensing agreements to purchase it and allow service providers to host it in a shared hardware/ dedicated VM using mobility rights? Think of how many users would purchase Office under Office 365 if they did this? 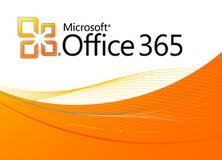 Or if they didn’t purchase Office 365, they would at least need to purchase Office with Software Assurance. Think of how many service providers would push volume licensing on behalf of Microsoft and the resellers if they allowed this? Either way Microsoft, service providers, and more importantly the end customer would win. RDS now has mobility rights! Great news for service providers, Microsoft announced this week that RDS will have Software Assurance (SA) mobility rights! This is a great move, it will allow service providers to have shared hardware, but dedicated VM’s (just like others under the license mobility program). Customers can leverage their existing volume licensing agreements (with software assurance) to install RDS in your datacenter. Pay attention to which products are eligible for license mobility. The products that are allowed are located in the Product Use Rights (PUR) not the SPUR, as this is a volume licensing use right, not SPLA. To download a copy click here Service providers would still be required to report Windows under their SPLA agreement. Last, make sure your customers have active software assurance for all licenses used for license mobility! Answers to your Top 5 SPLA Hosting Questions! 5. My application that we developed outputs data out of an Excel file. Why on Earth would I need to license Excel? Simple…because it uses Excel. There’s a reason why Bill Gates is one of the richest men in the world. You install it…you have to license it! From a SPLA licensing perspective, the only bundled SKU is the productivity suite. This includes Lync Enterprise, SharePoint Standard, and Exchange Standard. It does not include Windows, SQL, or Office. Windows processor licenses allows unlimited number of users to access, the more users, the less expensive it is. Eventually all you will be quoting is the Exchange license. (if you are an Exchange only provider) That is how large service providers are able to hold down their costs. Other option to Office 365 is to offer License Mobility. License Mobility allows your end customers to purchase licenses (with Software Assurance) and bring it into your environment. The advantage for the customer is volume discounts, and the advantage for the service provider is the ability to offer this in a multitenant hardware infrastructure. The virtual instance has to be dedicated, but the hardware it resides on can be multitenant. This is only if the customer has Software Assurance and the service provider signs the license mobility addendum. Windows is not included and would have to be reported under SPLA. I will write another blog on license mobility. Stay tuned.